I think I might have found one of these for my engine. Talked to the guy yesterday about it and from what he is saying, this one might be it as it was designed for and 8K RPM peak. He's also "local" to me as he's 90 miles away and Sonny Leonard is building him a new engine, which is 15 miles from my house. 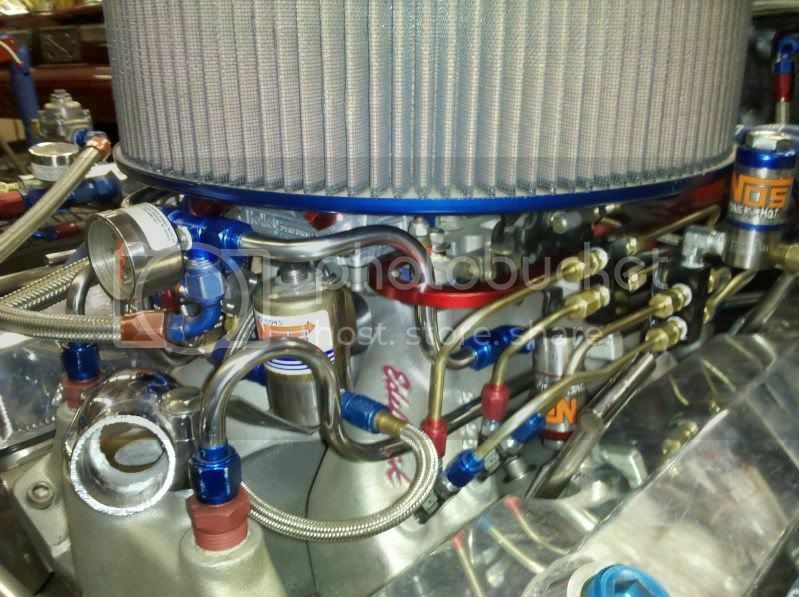 In fact, that intake he has for sale is in Lynchburg now so when they (Sonny's guys) get back from PRI I'll get to check it out and even fit it on my engine BEFORE I have to pay for it. Just hope the intake ports are a match, or at least somewhere close. If not, then I may buy it anyway and just pull the heads this winter and work'em to match the intake. More Christmas presents for my Wife! If that deal falls threw I might be selling my sheetmetal intake. I am going to a tall deck block. My engine guys might want to make a new intake. Mine is for Brodix 18degree clone heads. Single 4500 top. Let me know if you might be interested. I think you should stop it already and RACE that car already!!!!!!!!! Send me a phone number and lets talk. I need to ask you a few questions about it. And WHO is it that keeps on building new ENGINES? Mine has been in the car two and a half years now! A. I needed a looser converter. B. I need a dual carb intake for my engine so I can run my dual 750s! Neither of those is going to make it that much faster but the dual carbie thing will make it easier to balance EGTs cylinder to cylinder since each one has it's own venturi. I've wanted to run those since I put that engine together and sooner or later I'm going to get the stuff to make it happen. Ken, find out what the runner length is. If you know what the intake port length on your heads are, add it to the intake manifold port length and use the following chart to give you a ballpark RPM range for total runner length. Already have numbers on this from Curtis, Rick and Randy and they were all within a half inch. On my engine, two is way more consistant than one. 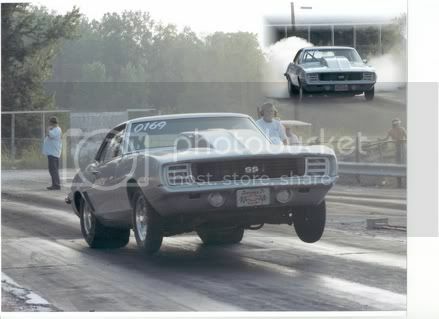 My reason for wanting to run those is engine tuning related. I'm not sure that I'll be any quicker with the dual carbs, but it will be easier to balance EGTs down track as with those it's just a matter of changing a jet or an air bleed for each cylinder. If it's more consistent then that's a plus. If it's not then I'm no worse off than I am now. Logic would say that it would be both more consistent due to better fuel distribution and quicker because 2x750=1500 cfm and right now I've got an 1150 cfm single on it. You will most likely use less fuel with the dual setup once tuned in. Plus the sheetmetal tunnel ram would look SWEET on that smallblock!! Yeah, I'm already drooling! Just hope it works out. Seems almost too good to be true! I'll have to make another top for the 750s because it's got a dual Dominator top with shear plates now. If I get it I guess I'll also be looking for another old style 8896 Dominator to modify so I'll have two of those also. Hummm, that's all I need, right? Another carburetor? Wow! That would make 9 Holley carbs in the shop! Jeez!